Apple's approach to phasing out unique product names to focus on the corporate brand reflects its understanding of the way today's consumers relate to brands. 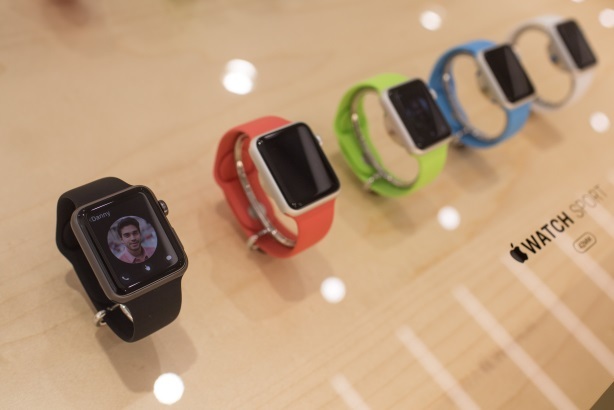 There has been a lot of buzz in the press about the Apple Watch. The product is undeniably innovative, but what has been overlooked is that with this product, Apple is making a bold statement about the shift in the way today’s great brands are built. With its newest launch, Apple has entirely moved away from product brands such as the Macintosh and iPod to introduce a product called "Watch." Never mind that Apple can’t trademark the generic term, the company isn’t concerned because they understand that the real brand is "Apple," and that’s all that matters. Apple’s approach to phasing out unique product names to focus on the corporate brand reflects its understanding of the way today’s consumers relate to brands. They are less interested in the brand of the product than the organization behind it. And this represents a dramatic change from the golden days of branding. With the product brand model, the consumer is often unaware of what company is behind the brand. These brands include Lipton Tea, Q-tips, Listerine, Splenda, Cool Whip, Jell-O, Oscar Mayer, Mott’s Apple Juice, Snapple, Old Spice, Duracell, Gillette, Minute Maid, and Evian. These brands and hundreds more emerged in the era of the product brand and they focus on features and benefits: What it does and how it works. The problem with product brands is that they’re often built on catchy promotions and empty promises instead of deeply held institutional values. Today’s strongest brands are defined more by substance than by sizzle. Consumers are less interested in the positioning of products and more concerned with the behavior of the organization. Organizational brands focus on identity and purpose – who is behind it and why it matters. Strong organizational brands include Whole Foods, Patagonia, Starbucks, Google, Microsoft, Nike, Ikea, and Apple. These companies aren’t building portfolios of brands, they are the brand. And they have built a following through consistent behavior and committed action. Great organizational brands aren’t trying to be all things to all people. They are driven by a clear sense of purpose – one that doesn’t change with every consumer whim or market trend. They are loyal to their core customers and that loyalty is reciprocated. Their customers often exhibit a kinship with other customers – forming communities of followers. That’s why brands like Method, a company with a purpose that markets a wide range of soap and cleaning products under a single brand, is on the rise. Meanwhile P&G, a company that amassed over a hundred differently named brands, is selling off half its portfolio. Marketing organizational brands is remarkably efficient. If you like Method’s values and you buy their hand soap, you’ll probably try anything in their line. But if you like Crest, a P&G brand, it doesn’t mean you’ll also like Old Spice, another P&G brand. Maybe that’s why analysts estimate that 2 million people bought Apple’s Watch before the product was even released. They love Apple. They understand that Apple is driven by values and convictions they bring to every product. So why not take a chance on their latest innovation? The lesson for astute marketers is that it’s time to shift from investing heavily in that next catchy product brand to focusing your efforts on the organizational brand. Today’s strongest brands look for the connection between consumer needs and corporate conviction. They live their brands; aligning products, services and employee culture to deep-rooted beliefs. These organizations act with a sense of purpose that makes them attractive to consumers, employees, and communities. And when that happens, we’re all better off. As Chief Creative Strategy Officer for PadillaCRT, Kelly O’Keefe helps his clients connect with purpose. O’Keefe’s career has been focused on innovation in the world of branding, education technology. He is a professor and founding board member of the VCU Brandcenter. O’Keefe is known for pioneering work in digital marketing, brand strategy and creativity. He has been named Ad Person of the Year and Virginia Entrepreneur of the Year, and has also been named to the Virginia Communications Hall of Fame and received the American Advertising Federation’s Silver Medal for outstanding contributions to furthering the industry’s standards. 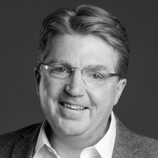 O’Keefe has been a strategic brand advisor to clients like KitchenAid, ESPN, Walmart, UPS, Sesame Street, CarMax, GE and the Colombian Coffee Federation and has been a keynote speaker on branding around the globe.